Introduction to "An Artist Defining Style: Meet Mone' Musel." 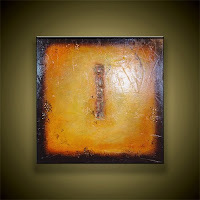 Size: 30" x 30" x1.5"
This painting I just love for several reasons.The colors are seductively inviting and warm. The quality of the substrate (canvas) itself is wonderfully evident; with the dark tones around the entire piece continuing around all four sides is not only so that it can be hung without framing, it actually frames and centers the entire painting with the dark color.With a vital simplicity reminiscent of Rothko's late works, it is the thick application and layers of paint that add texture, depth, and a unique duality: a dark and light mood exist simultaneously. "Complexity in the Abstract." *Note: Though this piece is sold, she offers high quality re-productions (Giclees) of many of her works. 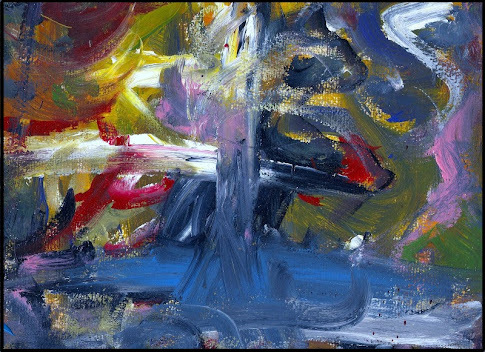 The title of this post is a direct link to this featured painting on her website. Simply click on the title and you will go straight there. I am very impressed with Mone's works. A surprisingly large proportion of them appeal to my eye. I am sure she is doing very well, but things are going to get even better for her.